A 26-year-old woman is set to be sentenced for a charge of dangerous driving today following a hit-and-run crash that left Doncaster teenager, Danielle Stoton, with serious brain injuries. Sarah Livesey, of Pontefract, West Yorkshire is scheduled to be sentenced at Sheffield Crown Court this afternoon for a string of motoring offences including causing injury by dangerous driving, dangerous driving, failing to stop after an accident and failing to report an accident. Livesey pleaded guilty to the charges at a hearing earlier this year, following the crash in Hatfield Lane, Armthorpe on August 10, 2014 which left 19-year-old Danielle Stoton with life-threatening injuries. Danielle only returned home a few weeks ago following the collision, and spent more than five months undergoing rehabilitation at the Magnolia Neuro-rehabilitation Unit in Tickhill. 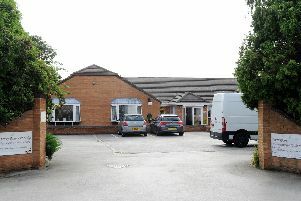 The former Doncaster college pupil still needs to return to the Neuro-rehabilitation Unit several times a week for appointments with a physiotherapist, psychiatrist, a speech therapist and an occupational therapist. Danielle is reliant on her parents Paul and Michelle Stoton and a carer, who spends 33 hours a week tending to her daily needs. Keep checking the Doncaster Free Press website later today for updates on this case.